Since 2011, we’ve travelled on epic adventures around Australia and overseas documenting stories, which people know little about. Here is a bit about the history of our work below. Early in 2016, we travelled to the Great Barrier Reef’s sister reef, the Coral Sea, to capture the beauty of one of the last places on Earth where pelagic species thrive, and to show why it is in urgent need of marine protection. While filming ‘The Last Sea Treasure‘, we had the pleasure of interviewing pioneering underwater explorers, including the legendary Valerie Taylor and shark expert, Richard Fitzpatrick. Both Val and Richard are just crazy about sharks! We explored Holmes Reef, Osprey Reef, and Bougainville Reef, with Mike Ball’s videographer Julia Sumerling. We also went on this journey with the Australian Marine Conservation Society, who gave the funding support for this project. Meanwhile, up above the surface, we were filming a documentary called ‘Restoring Earth’, funded by The Wilderness Society, exploring the culture of land clearing in Australia from paddock to plate. The lead farmer in this documentary went on to ride his horse across the Sydney Harbour Bridge to share his story with the world. Farmer Glenn Morris is now a star! In 2015, we travelled to the United States with the help of a bursary to attend the United Nations Association Film Festival, which featured one of the first documentaries we made on marine reserves. In this year, we won a number of film festival awards, including the Sylvia Earle Ocean Conservation Award at the My Hero Film International Festival. We also began filming for our an independent feature film, ‘The Map to Paradise‘, which we will hopefully finish by early 2017 – www.themaptoparadise.com. Another 2015 highlight was travelling with WWF-Australia to Western Australia to document their history trying to conserve ‘The World’s Most Ancient Landscape‘. 2014 was a prolific year for us. This is when our adventures filming marine parks around the world began. We toured Australia documenting the importance of marine reserves and ‘no take’ sanctuary areas, and the role they play in a world full of pressures on our oceans. We raced against time to produce, film and edit about 65 minutes worth of films in just eight months. Considering the time pressures on us to finish this project, it was with great relief and happiness that we finally finished our work in time for the premiere screenings earlier in February 2015 (for Cairns and Jervis Bay). The aim was to time the screenings with the Commonwealth Marine Reserve Review. Looking back, it great to think we helped to start up a nation-wide grassroots dialogue on why marine parks and sanctuary areas are valuable to Australians. Shortly after, ‘My Saltwater Sanctuary,’ (19 mins, 28 secs) went on to win the underwater prize in February 2015 at the Fremantle Underwater Film Festival. It explores the New South Wales coastline from Byron Bay to Batemans Bay, on the east coast of Australia, where there is a vibrant ocean and beach culture, which is shared by all locals. The story shows how their joy, their livelihoods, and their local identity is intertwined with the ocean and ultimately on the future conservation of marine parks and sanctuaries. To this day, one of our greatest adventures was travelling around Australia for The Sea & Me, 2014, (27 mins, 39 secs, funded by the Save Our Marine Life Alliance). We explored marine parks in Western Australia, Queensland, New South Wales and Tasmania, and documented the science behind how marine parks work. It was eye-opening to see that all sorts of species like manta rays, lobsters, coral trout and the placid grey nurse shark, are benefiting from these special places. And, as a part of this documentary project, we made this story below of pastoralist, Leonie McLeod, to celebrate the 25th anniversary of Ningaloo Reef Marine Park. We were really inspired by Leonie, who moved to Ningaloo decades ago, because she had a dream of caring for a patch of earth, which meets the sea. She lives in one of the most extraordinary wild places we’ve seen; a place blessed with rolling sand dunes, crystal blue waters, and a stretch of dry desert lands free of humans, which makes this part of the world an enchanting place to visit. Leonie’s story is a part of a short series of documentary vignettes about Australia’s ocean caretakers, including about Rob Pennicott, the founder of Pennicott Wilderness Journeys. In ‘Bill’s Bounty’, the founder of the Rocky Barra Bounty, Bill Sawynok, tells us how the fishing community came to accept sanctuary zones in his part of the world, partly because of his work bringing science and recreational fishing together as a fun activity for people to do. He lives in Rockhampton just a short drive away from Yeppoon where many recreational boaters depart to go fishing on the Great Barrier Reef, while others go snorkelling and yachting around the stunning crystal blue waters of the Keppel Islands. We also met Gumbaynggirr elder Mark Flanders, who told us about ‘Fishing in the Gargul’ (the ocean) from a traditional owner’s perspective, sharing a dreamtime story about the dolphin and his peoples’ fish traps. It was a magical experience while filming Mark at the Arrawarra fish traps: he was calling out to the dolphin (one of his clan’s totems) like his ancestors once did, and up popped a dolphin in front of him to say ‘hello’. In Port Stephens, we filmed Nigel Hayward in ‘Hooked on Diving.’ In the story, he says he use to look at “fish as fish, so what, eat them, yippee,” until the day he went diving and it change his outlook on the underwater world completely. It was a privilege to visit Port Stephens, where Nigel lives, to see the community’s relationship with its much loved sanctuary area, Fly Point. Divers and fishermen like Nigel are fiercely protective of this area. It is a place just teeming with life; you see all sorts of creatures there, including an array of weird and fascinating sharks , plenty of colourful nudibranchs, and a couple of curious turtles. A lot of what divers call ‘nudi-nerds’ travel from around the world to Fly Point to see the sea slugs in their bright blues, yellows and even purple uniforms. However, our filming adventures did not end there for 2014. With WWF-Australia’s market transformations program, we also documented the journey of water from the sugar farms of North Queensland, down the waterways, and out onto the Great Barrier Reef. It was a fascinating experience gaining behind-the-scenes access to one of the most respected marine research centres in the country, the Australian Institute of Marine Science (AIMS) where we saw just how monstrous crown of thorns can be in size, learning about some of the ground-breaking research the scientists are doing in this area when it comes to dealing with the crown of thorns plague on the Great Barrier Reef. We also visited a number of passionate sugar farmers, who are experimenting with new technologies in their backyard sheds, including farmers like Tony Bugeja. They are doing their bit to improve water quality and to reduce the pressure on the reef’s iconic sea turtles. And, there is someone else we’d like you to meet. His name is Steve Lee. He is a night assistant at the Australian Astronomical Observatory. Steve ‘stars’ in this short film that we made to celebrate 40 years of stargazing at Siding Springs for the AAO’s annual StarFest event October 2014. This project was a great opportunity for us as filmmakers to reflect on the beautiful landscape above our heads. Again, we were blown away by the ground-breaking science and innovation going on in remote and rural Australia. These clever scientists are leading the way when it comes to global technologies, and they are historically blessed with other notable achievers like the famous colour astronomical photographer, David Malin. See his beautiful photographers in this short film, and learn about the evolution of stars. Our short film, A Penguin’s Life in the City, will be used by Project Penguin on the northern beaches of Sydney to create awareness about the last mainland colony in New South Wales, and their struggle to survive in the big city, It also played at NaturVision, Germany, June, 2014, and played at the American Conservation Film Festival October-November 2014. The Penguin Wardens are a group of dedicated locals in Manly near where we live in Sydney. Every night they sit by Manly Wharf and wait and watch to make sure that they penguin, who have burrows under the wharf, return home safely. In 2013, we put together a couple of micro educational documentaries for WWF-Australia on the magical region of the Heart of Borneo. James joined WWF-Australia’s Digital Manager, Laurent Desarnaud, on a whirlwind trip to film for the project. On James’s journey, he saw the devastation of old forests being removed for palm oil plantations, as well as the good news story of a sustainable logging company which is doing its bit to protect orang-utan populations. Check out the stories below. We also launched an online documentary, poachingincostarica.com, which looks into the culture of poaching, and the violence and insecurity it can bring. Jairo was murdered about a year after we filmed for a documentary looking into the dark undertones of the pristine eco paradise of Costa Rica around the Osa Peninsula, where another conservationist was murdered by poachers. Her name is Kimberly Blackwell. So, we decided to combine the screen component of our work with an online interactive element, so that we can get a better understanding of this issue which is prevalent in many countries around the world. 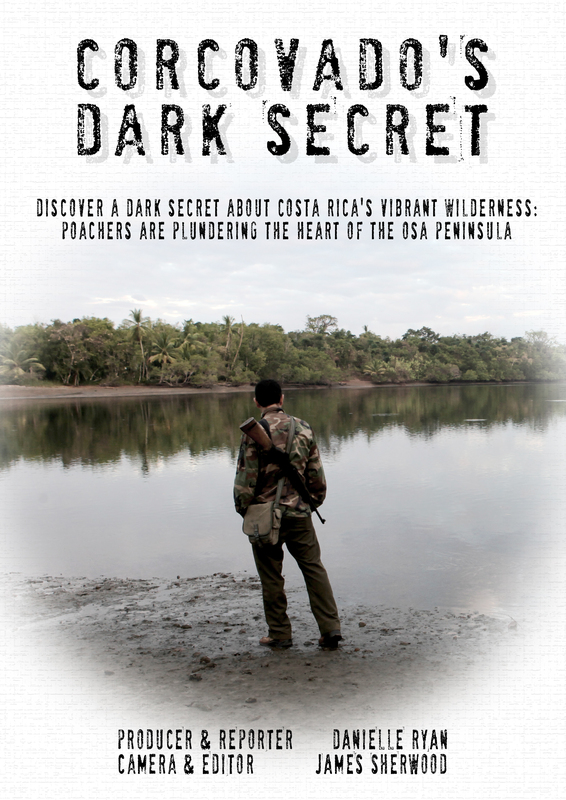 The screen component of the feature, a journalism style documentary called Corcovado’s Dark Secret won best journalist at the New York Wildlife Conservation Film Festival and best local film at the Sydney Latin American Film Festival, 2013. It also aired on Aurora Television, 183 Foxtel in April 2014, and will play at the 15th Irish Latin American Film Festival, 2015. Earlier in 2013, James was the Editor, and Danielle was the Scriptwriter, Post Producer, Assistant Editor, and the PR coordinator for WWF-Australia’s Sending the gungu home, which won ‘best community organisation’ in the Aurora Short Film Festival’s award May 2013, and aired twice on Aurora Television, 183 Foxtel in June 2013. Danielle helped spread awareness about this film in dozens of print and broadcast outlets in regional Australia in Queensland and New South Wales. 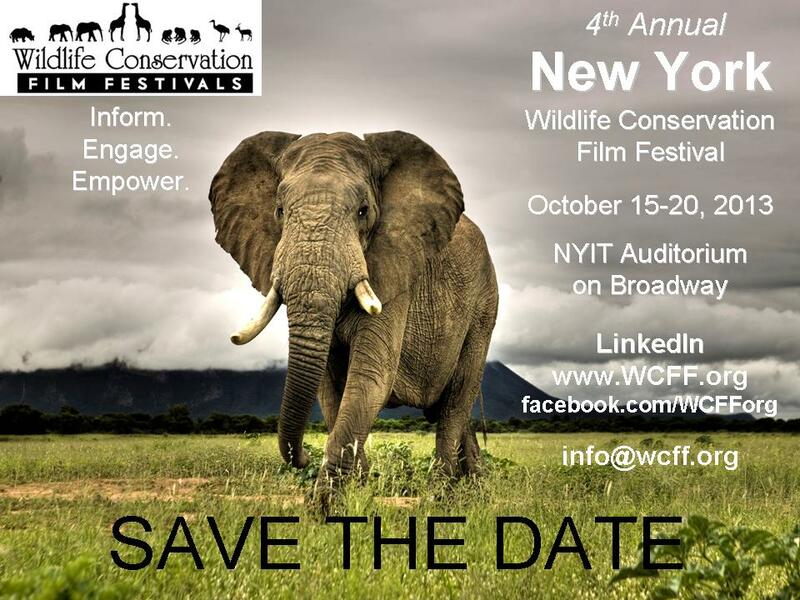 Sending the Gungu Home also featured at the Wildlife Conservation FIlm Festival, New York (2013); the launch of the Ancestral First Indigenous World Festival. Sydney (2013); the Oceans Film Festival Australia local tour in Cairns & Townsville, (2014), the 34th Annual Symposium on Sea Turtles, New Orleans, (2014), and played at the 40Fathoms Film Festival, an event by the South African Shark Conservancy in June 2014. And, finally, let’s talk about the project where our filming relationship first began. We – James (camera) and Danielle (reporter/producer) – first worked together out in the field in Nicaragua, where they put together a foreign documentary report, Hard Labour, for Australia’s Dateline SBS, back in 2011. 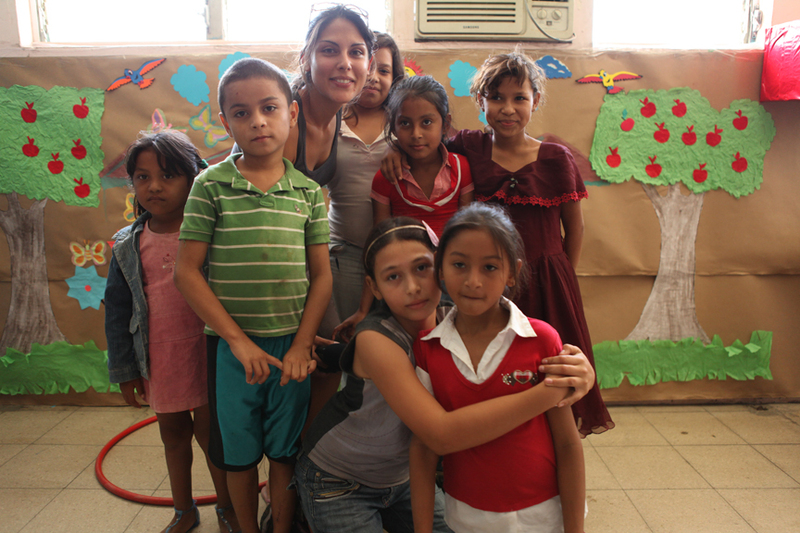 Over the years, we’ve developed a strong relationships with Latin American culture and history, and it is this region which Danielle has focused a lot of attention on when it came to her academic studies and volunteer work. Watch the Dateline, SBS, documentary report below.